Legislator Francis X. Becker, Jr. and the Nassau County Legislature voted today to approve the remaining funds to repair the storm-ravaged Bay Park Sewage Treatment Plant. The Bay Park Sewage Treatment Plant, which services 500,000 Nassau residents, was shut down for two days after 9 feet of saltwater entered the facility during Sandy. The greatest damage was done to the plant’s electrical system which was completely submerged by seawater and continues to corrode. 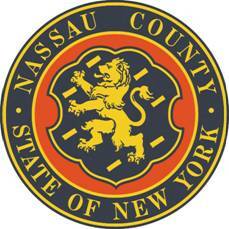 Today, the Nassau Legislature approved the final $463 million in funds to repair the plant including $326 million to replace the electrical system. “The Bay Park Plant sustained significant damage during Sandy, and county workers have been taking heroic measures to keep the plant running over the past year. I am very pleased that we were finally able to provide the funding to complete the repairs that are so desperately needed,” stated Legislator Becker. To fix this vital infrastructure and to prevent damage from future severe weather, County Executive Mangano originally introduced a Capital Improvement Plan to invest $722 million in the sewage plant in Bay Park, as well as its sister plant at Cedar Creek. The proposed sewer rehabilitation plan is vital to the reconstruction of these facilities and is 100% reimbursable from the Federal Emergency Management Administration (“FEMA”) and Federal Community Development Block Grant (CDBG) funds provided to Nassau County by Governor Andrew Cuomo. Initially, only a third of the requested investment was approved. Now the electrical system can be replaced as well as other critical improvements such as odor control and construction of a storm barrier to prevent damage against future severe weather.